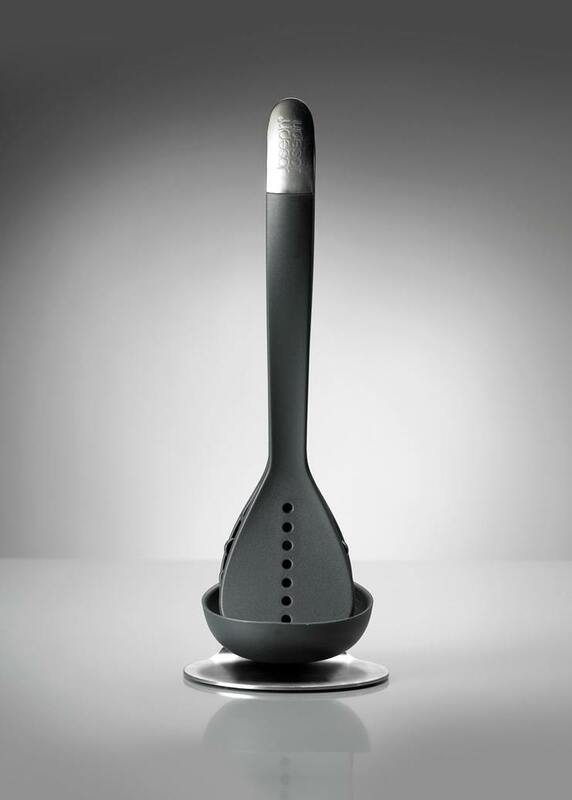 As a successor to the original Nest Utensils, Studio17 developed a ‘plus’ version alongside a premium ‘100 Collection’ product. 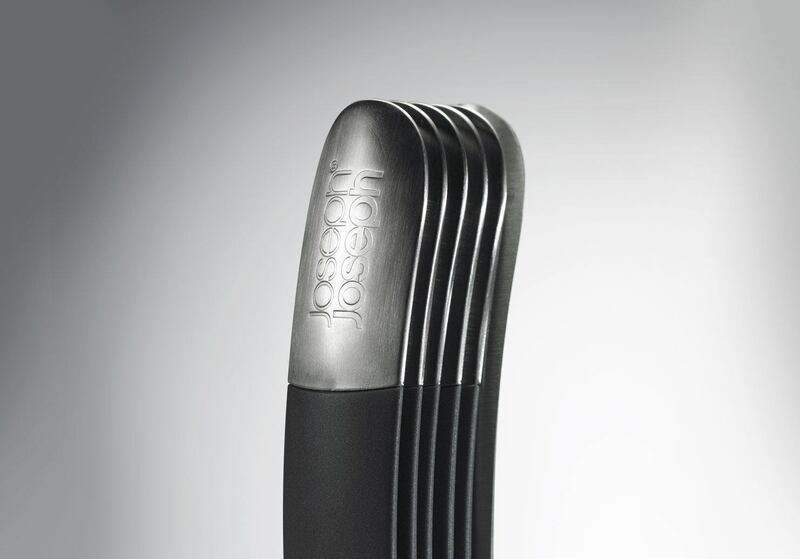 The 100 Collection represents Joseph Joseph’s best selling products reimagined in steel and dark plastics, for a premium look and feel. 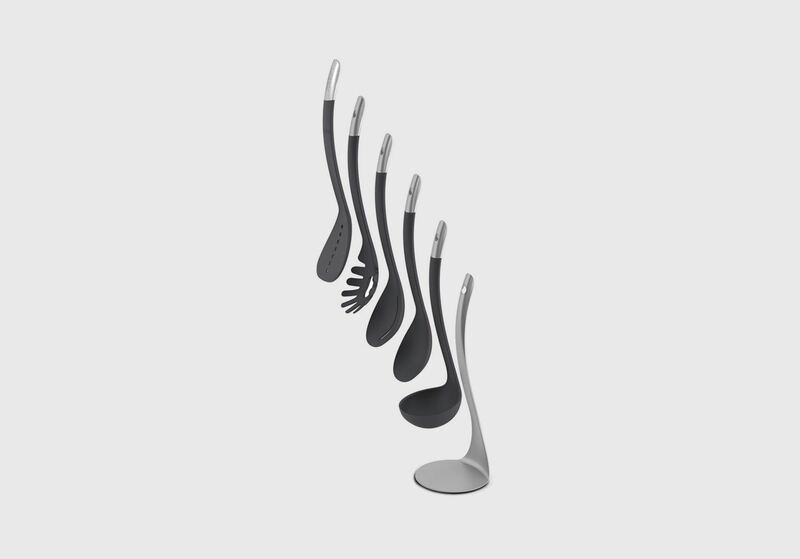 Central to Nest Utensils success was its keen price point and compact, nesting storage. Glass filled Nylon was retained for the tool bodies to preserve their heat resistant performance, ergonomics and easy storage, but with the addition of pressed steel tabs at the top. 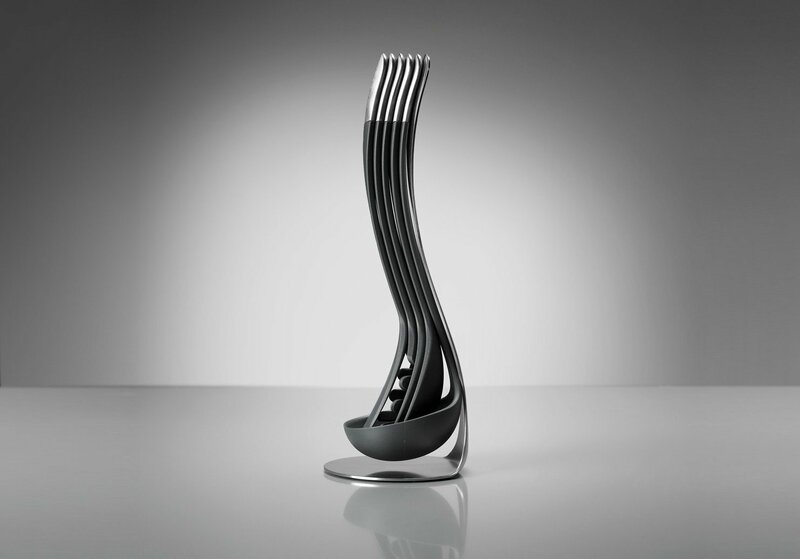 These tabs compliment a new, brushed stainless steel stand, for a more industrial aesthetic. 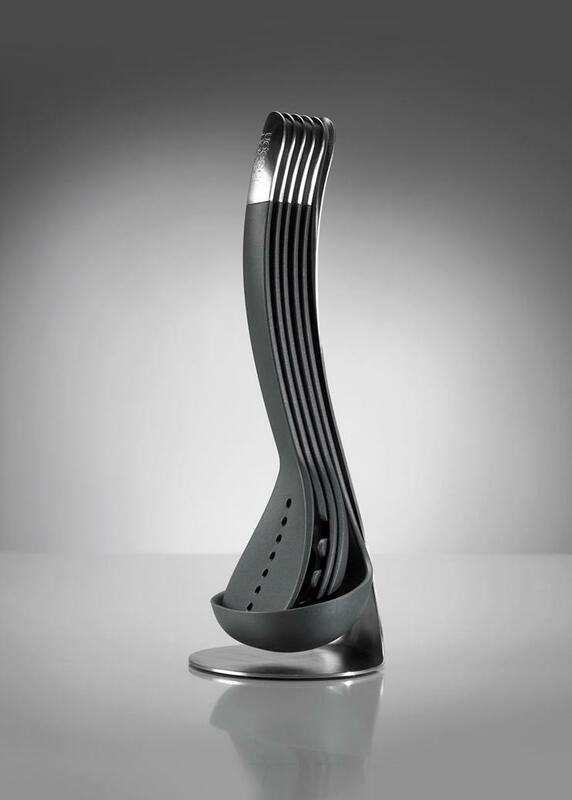 The increased weight helps the stability of the product when removing or replacing utensils, complimented by silicone feet on the base of the stand, providing grip and protecting the counter below. The added steel elements serve to increase the value of the product, making it an attractive proposition to trade up from the original product. 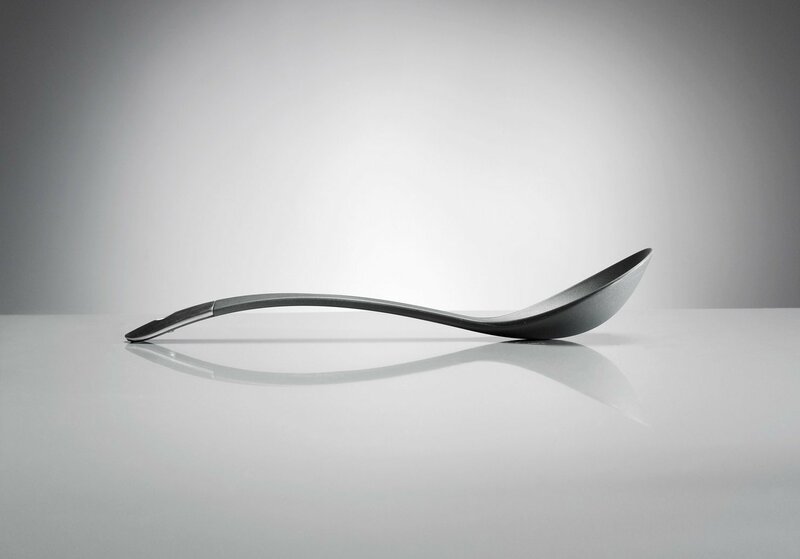 The high quality stainless steel gives the product a premium and more stylish aesthetic, whist the additional weight adds to the perceived durability of each utensil. Sold in selected stores globally.